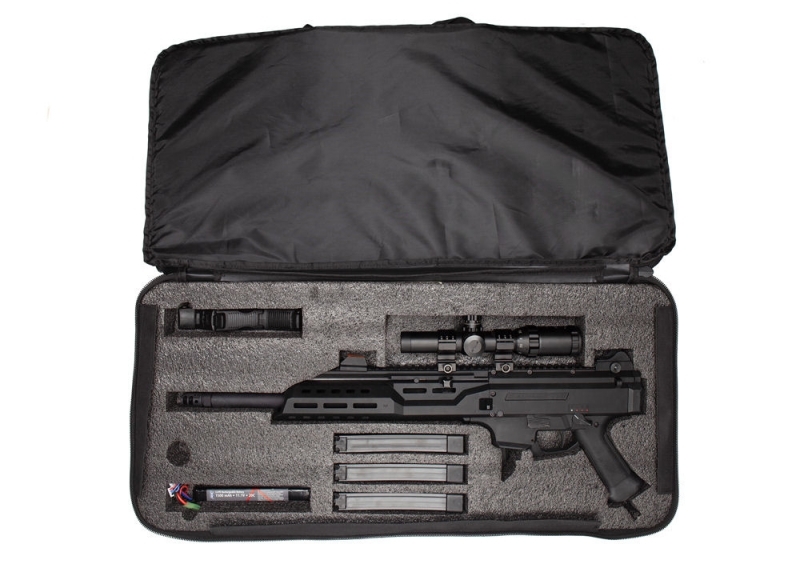 Home > Gun Bags & Carry Cases (Rifle & Pistol) > ASG Rifle Bag Scorpion Evo 3 A1 Carbine / B.E.T / HPA with foam inlay. 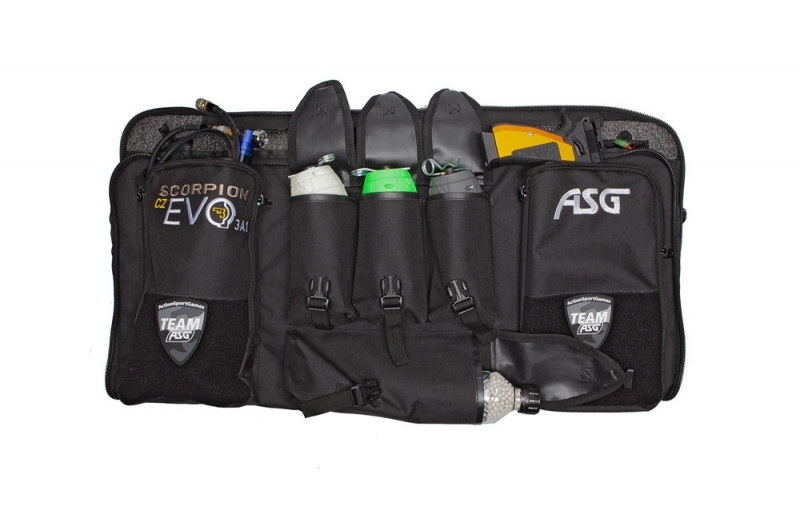 ASG Rifle Bag Scorpion Evo 3 A1 Carbine / B.E.T / HPA with foam inlay. The bag features foam cutouts for HPA nozzle and optics. 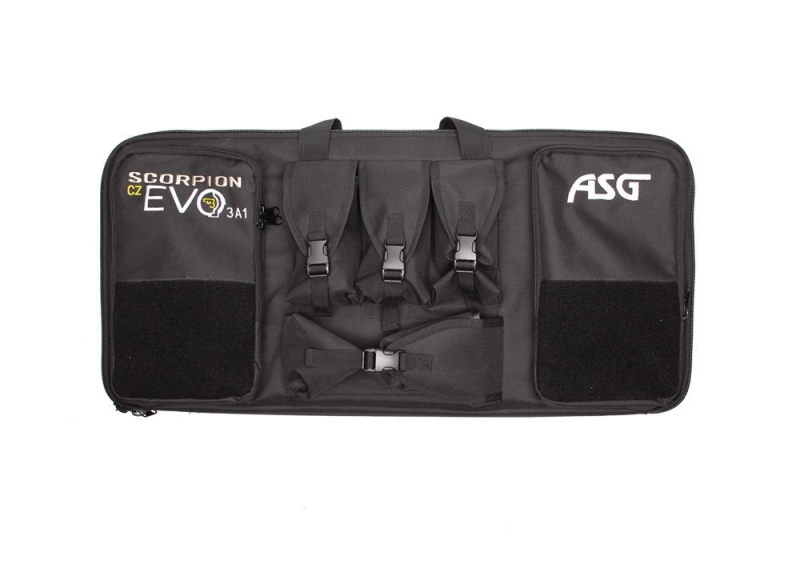 Custom made for the EVO 3 Carbine + B.E.T version, this tactical carry bag is made from Cordura nylon, and features a main compartment with cut-out foam. The foam keeps the EVO tightly in place with extra space for any type of optical sights the user might wish to mount to the gun. The exterior of the bag features 3 mag pockets for a total of 9 magazines, a long pocket that can hold a large BB bottle and 2x zippered admin pocket with Velcro attachment area. The EVO 3 A1 logo is shown in stylish 3 color embroidery.